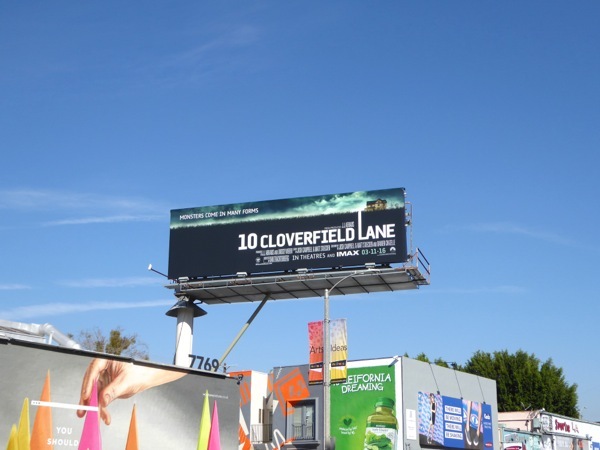 Just when you thought there were no surprises left in the world to discover, along comes 10 Cloverfield Lane. 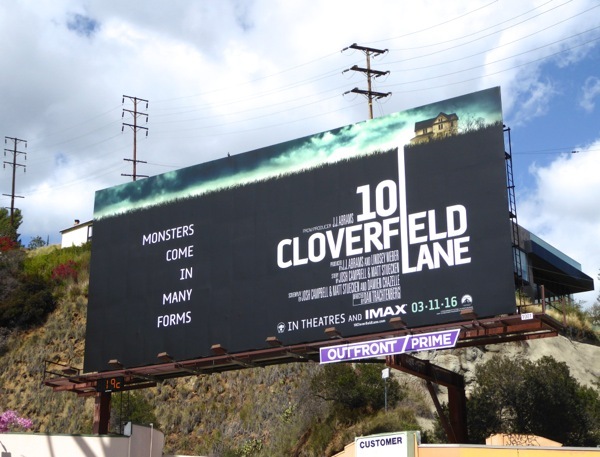 The mysterious pseudo-sequel to 2008's shaky cam rampaging monster movie, Cloverfield, was a big secret until recently and even now not much is known about the film (just the way J.J. Abrams likes it). 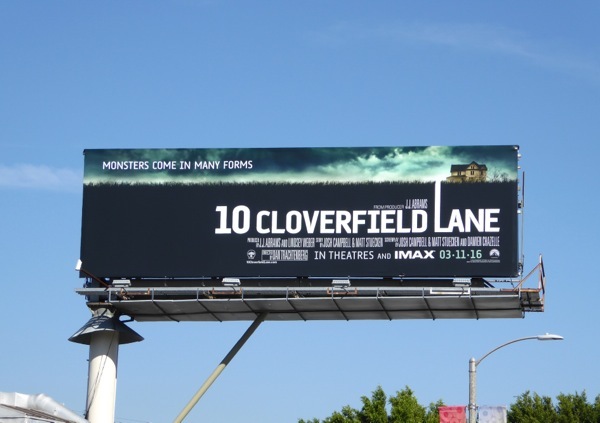 Directed by Dan Trachtenberg, the movie has been described as more of a 'blood relative' to the original film, rather than a sequel, and stars Mary Elizabeth Winstead who finds herself captive in an underground bunker after awaking from a car accident. 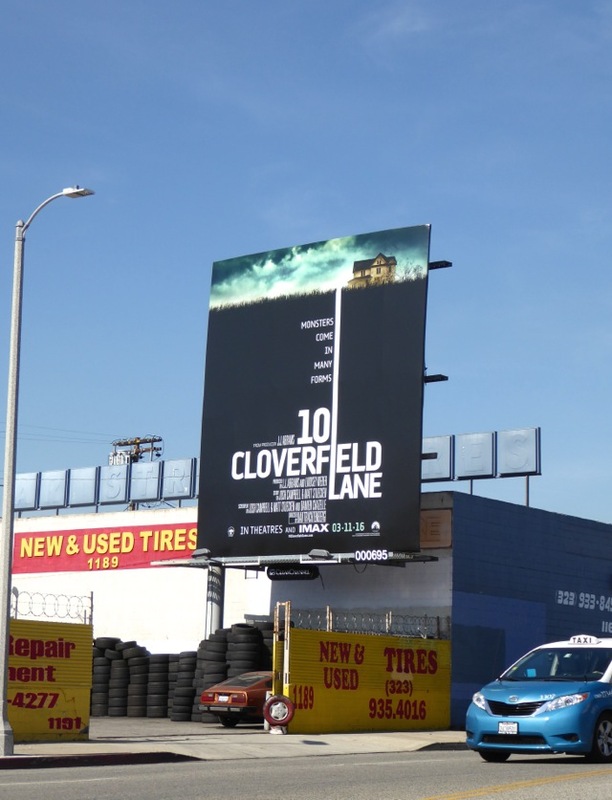 Her survivalist captor is played by John Goodman (the other cellar resident is John Gallagher, Jr.), who tells her that the Earth's surface has been made uninhabitable by a chemical attack. Needless to say, she soon discovers that 'monsters come in many forms'. 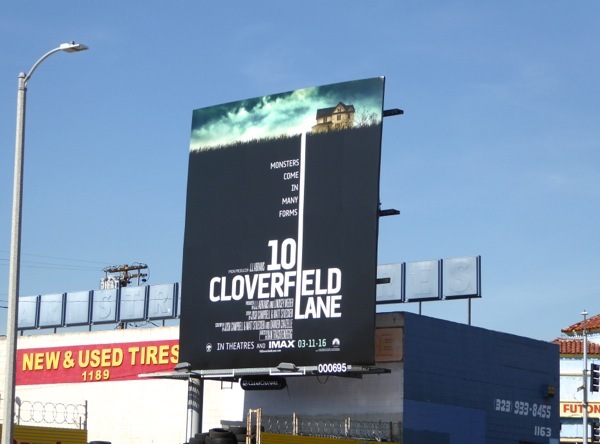 These movie billboards, which cleverly use the film's title treatment to suggest the existence of an subterranean bunker, were snapped along La Brea Avenue, Melrose Avenue and the Sunset Strip from February 12 to March 6, 2016. 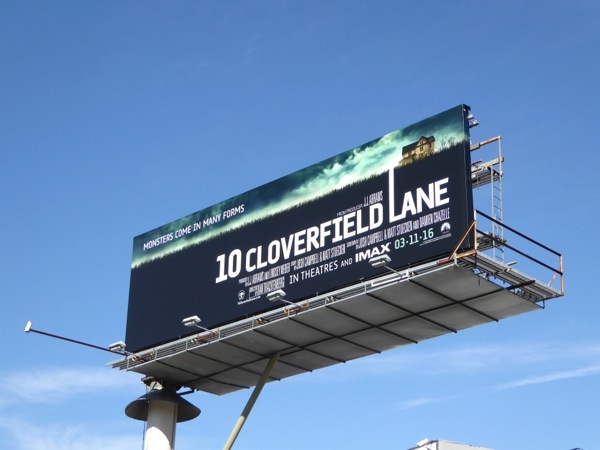 It's funny, you can tell a movie belongs to J.J. Abrams Bad Robot production company by its billboard designs, just check out this Super 8 movie billboard to see the similarities between the two. Who's safer, those living beneath the surface, or those free to move around above ground? 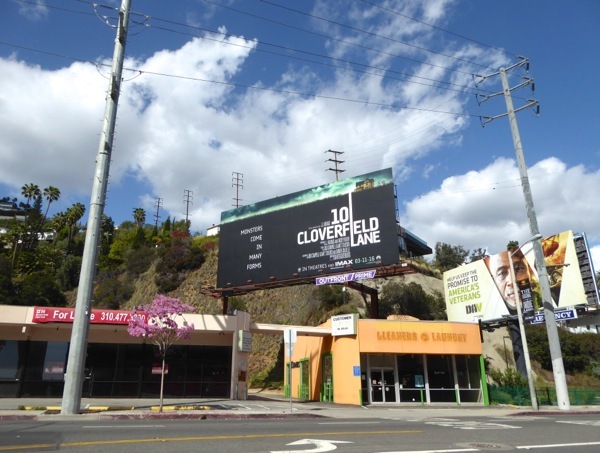 Daily Billboard is intrigued, are you?